April 15, 2015, marks the 4th Installation of GeneXpert System in the Sultanate of Oman. 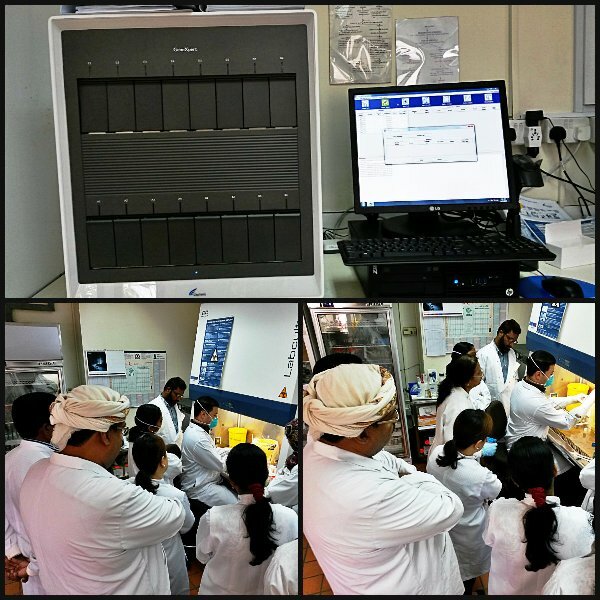 A GeneXpert XVI was installed in the Central Public Health Laboratory, TB Section, Darsait, Muscat, Sultanate of Oman. With the help of the Cepheid’s Product Specialist, Mr. Ahmed Madian, the training for the Biomedical Scientist for Xpert MTB/Rif Test was conducted last April 27, 2015 at the TB laboratory in CPHL.